Hello, I'm Manoj Dwivedi from New Delhi, India. It's a pleasure to meet you. Thank you for visiting my website and using online PDF tools. My area of expertise are web development, software development, Blogging, digital marketing, Online Brand Management and Online Reputation Management etc. 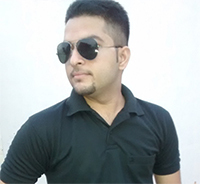 I am co-founder of OnlineFreeware.net which I have developed with lot of love for you all guys. In this website you can find many helpful web applications which can be used to split PDF files, merge pdf files, insert watermark in PDF, insert page number in PDF, protect PDF with password, convert PDF to DOC, Convert PDF to JPG and Convert PDF to HTML etc. You can use all these web based applications from your Office as well as home free of cost. All these applications can be used through a suitable web browser and you don't need to sign up or log in for the same. Have any question on your mind ?